We like to keep track of how we've changed over the years and if you're interested in our press or what we've accomplished you'll find it all here. Press releases, magazine articles, and our up coming shows. If you don't find want you're looking for here, give us a shout! Looking for a more environmentally friendly option for your underground carrier needs? 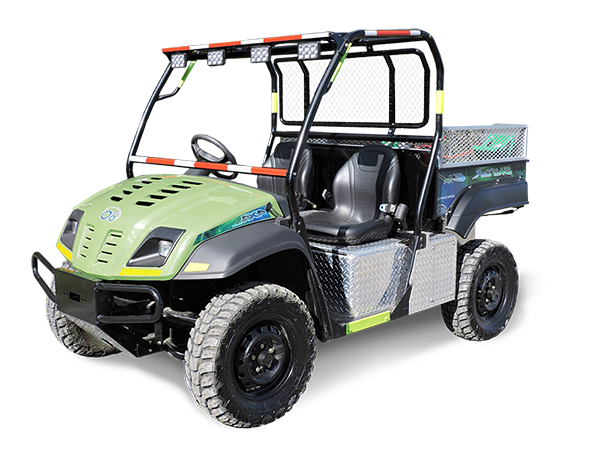 We’re happy to supply mines, EMT, and rail with our latest personnel carrier the 2 Person Shifter EV. Contact us for a quote today (705) 897-4872. 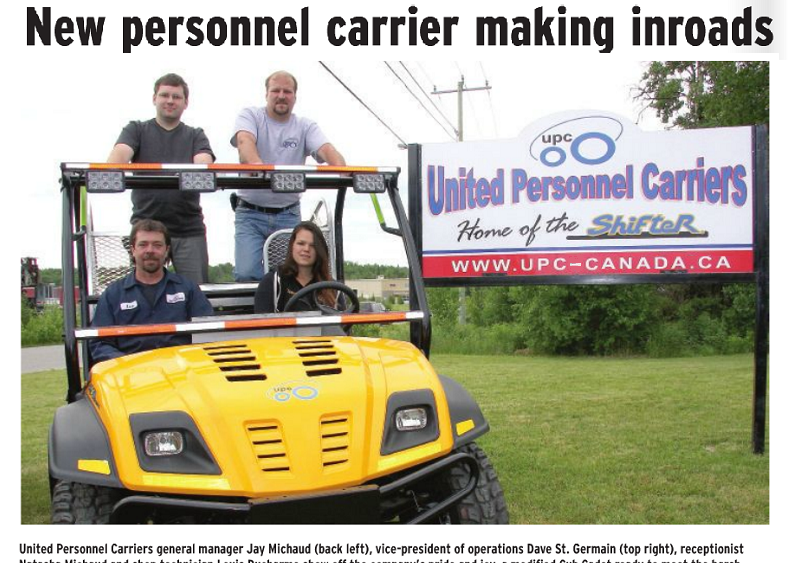 United Personnel Carriers (UPC) general manager Jay Michaud knew that with the right product, backed by impeccable customer service, a full line of stocked parts and a committed staff, a viable business could be built to make a difference in the mining industry. The last year has been a testament to how right Michaud and staff really were. With his business partner St. Germain, they proved to their clients that they can count on UPC to fully support their product after delivery. 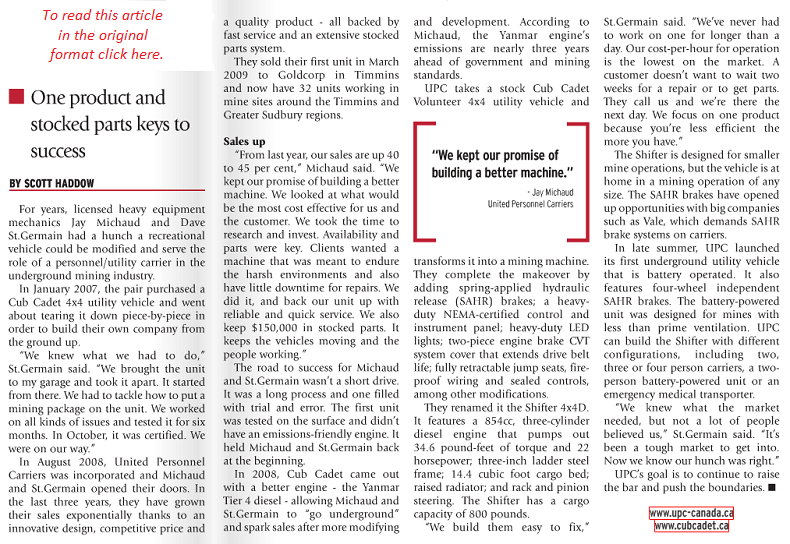 United Personnel Carriers is featured in the September edition (pages 10 & 11) of Sudbury Mining Solutions Journal. Check it out!